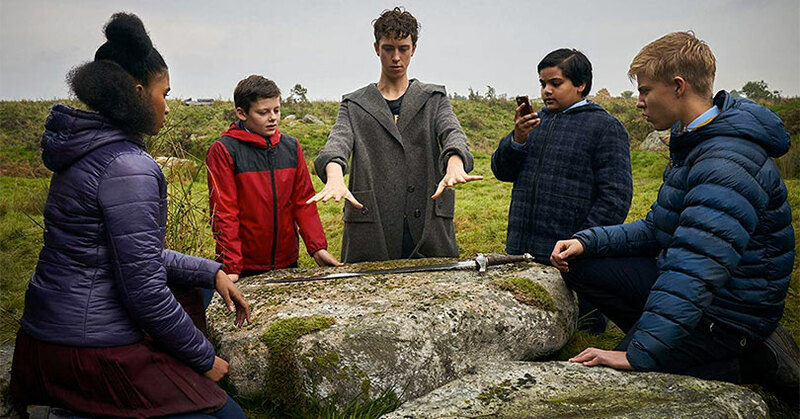 The Kid Who Would Be King is a film that writer/director Joe Cornish wanted to make for a long time now. He essentially takes the best parts of classic Amblin adventure films and combines them to update the legend of King Arthur. Unfortunately, for an updated take on the legend, the film feels mechanical instead of something that’s fluid and fun. Not to mention, the film is simply too long for a children’s film. When you think the film is over, it continues on and on and on. Then there’s the issue of all of the unbelieve moments in the film. With a fantasy film such as this, there has to suspend your disbelief with everything you see. But when you see middle schoolers battling an ancient army of the dead with little training then you’ll have to suspend your disbelief even more. However, if you’re a kid then this their ultimate fantasy film. Playing with swords alongside your mates is what a lot of kids do when they’re playing the hero. Here you’ll get to see onscreen children saving the world from a terrible evil. Regardless, the film does have quite a bit of heartwarming moments. The relationships between the four central heroes and between Alex and his mother provides the film with a lot of sweet and tender moments. Of course, all of this wouldn’t be possible if the characters weren’t enjoyable at all. Thankfully, the young actors seem to get along well and it definitely shows on screen. But there’s a lot of powerful messages within the film. Yet the most important one might be one that might get lost on children. With all of the social issues happening in Britain, The Kid Who Would Be King provides the message that despite what’s going on the children are our future. So no matter where you come from or what social class you are, you can still save the world. 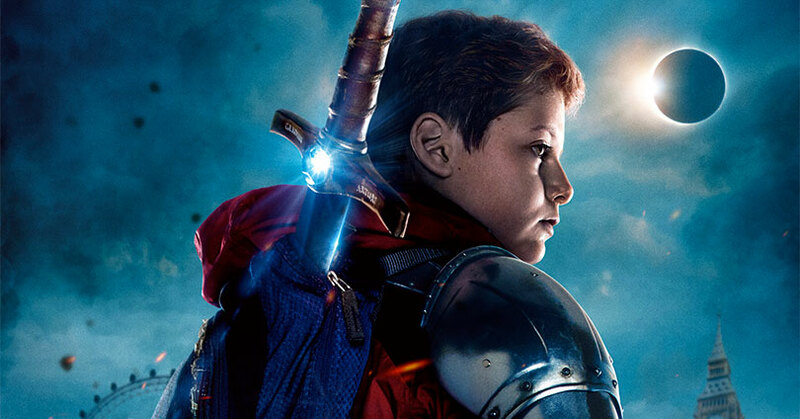 Overall, The Kid Who Would Be King isn’t a groundbreaking or fresh take on the Arthurian legend. Nevertheless, it’s a film that people will find entertaining—even if you’re a kid or an adult. The Kid Who Would Be King hits Blu-ray with a 1080p MPEG-AVC with a 2.39:1 aspect ratio. The overall brightness level of the video is higher than usual. As a result, there’s a lack of contrast and lost details in the overly bright areas. However, due to the high brightness level, there isn’t any loss of shadow details in the deep black shadows. Another result of the high video brightness is found in the color saturation. The colors seemingly pop off the screen with the vibrant color saturation. You can really see the vibrant colors on Alex’s red jacket. Despite the high brightness issues, the video is so incredibly clear. The world is very tactile and you can see the slightest of details in this video transfer. That being said, you can see some slight softness around the edges. The Kid Who Would Be King hits Blu-ray with a 7.1 DTS-HD Master Audio track. For a dynamic film such as this, it’s kind of sad to see a lack of playfulness within the audio mix. Nevertheless, the audio consistently immerses you within the scene. The placement of the sound effects in the soundstage is accurate in relation to the images on the screen. Even though the music mostly comes from the front channels, there are times when the score just completely envelopes the soundstage. Of course, as all modern Blu-ray releases go, the mix prioritizes the dialogue so it’s never lost in all of the craziness. We also get a bit of bass within the subwoofer as well. The audio mix doesn’t use it a lot but it does use it when it needs it the most. Meaning, it adds some weight to Morgana’s soldiers’ voices whenever they speak. Like Lord of the Rings, it makes them sound more menacing with the bass behind it. Overall, this is an awesome audio mix. Although it doesn’t look like it, the special features on this release are actually quite good. It’s actually quite impressive to see all of these informative featurettes on a Blu-ray release for a children’s film. “Origins of a King” is an absolutely in-depth featurette that provides audiences with a ton of information about the making of the film. From the casting to Joe Cornish’ story inception, the featurette just covers it all. 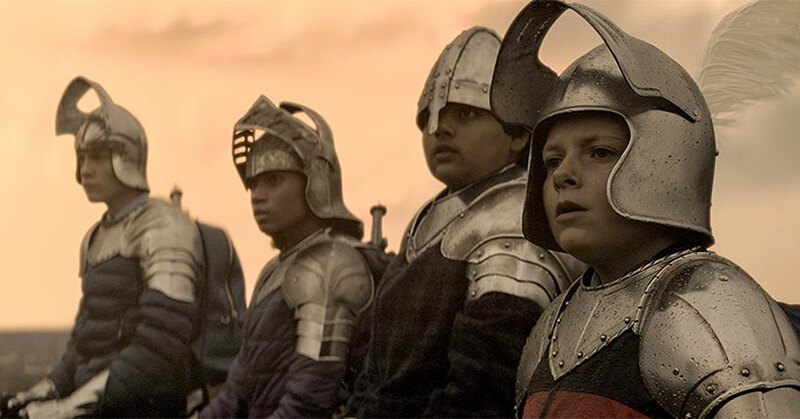 “Young Knights” focus on the young actors who play the four central heroes in the film. The featurette is basically a love fest featurette where the actors talk about how amazing everyone is. “Knight School” looks at the training the actors had to go through for a wide array of subjects. Swordplay, Merlin’s hand-gestures, and horse riding are all thoroughly covered here. “The Two Merlins” takes a look at why there are two Merlins in this film. 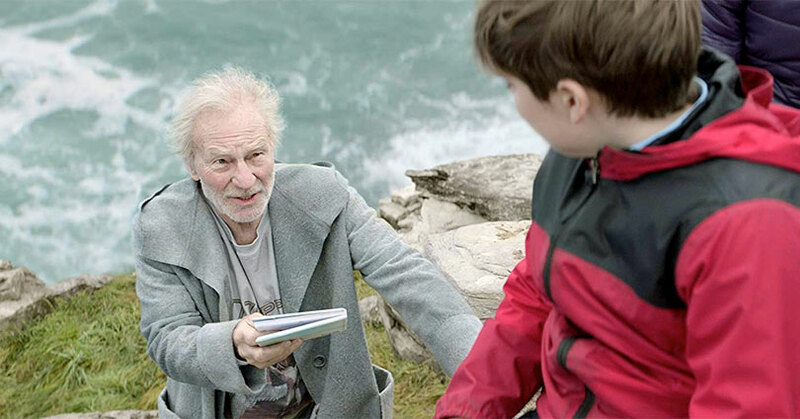 They talk about his various powers, his role within the context of the film, and the work Angus Imrie and Sir Patrick Stewart had to do to act as one person. Similar to “The Two Merlins”, “Meet Morgana” covers Morgana’s various powers and forms, Rebecca Ferguson’s performance, and Morgana’s look in this featurette. “Movie Magic” doesn’t necessarily cover what you think it does. Instead, the featurette covers not only the practical and special effects but the various British locations and sets as well. “The Hair, Makeup, & Costume Tests” would typically be boring to see on its own. Yet those who put the bonus feature together had a lot of fun editing the whole thing together. So, it’s not as boring as you might think. Lastly, there are deleted scenes. Although deleted scenes rarely add anything to the theatrical cut of the film, the deleted scenes here would’ve added a lot more fun to the film. Overall, The Kid Who Would Be King is a fun kid-friendly adventure that doesn’t quite bring anything new to the table. Regardless, the film should pique the interests of imaginative kids everywhere. Even though the video has issues with high brightness, the video still looks great. On the other hand, the audio mix is all-around perfect. The special features bring a lot to the table despite its small number of bonus features. It just goes to show you that it’s not about the quantity, it’s about the quality. The post The Kid Who Would Be King – Blu-ray Review appeared first on Nerd Reactor.